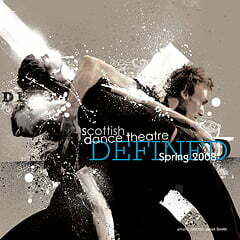 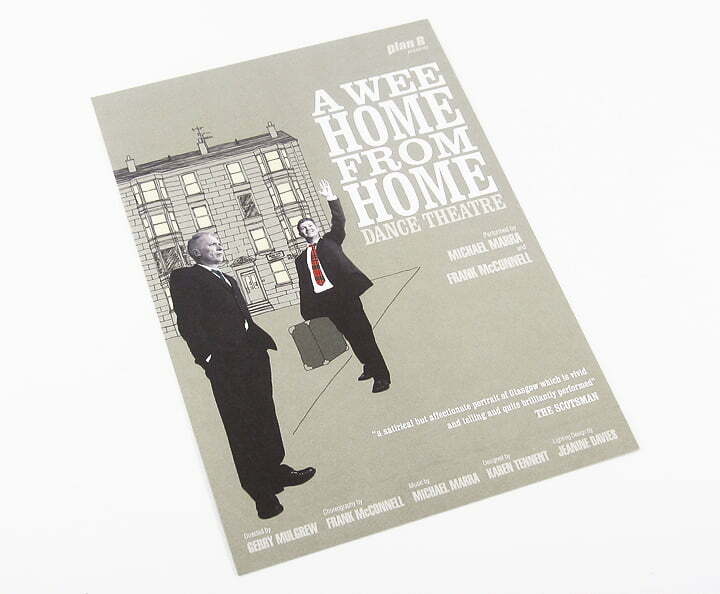 Frank McConnell’s dance company Plan B invited us to design the promotional materials for their new show ‘A Wee Home From Home’, the show had toured twenty one years previously and was being revived for Scotland’s Year Of Homecoming. 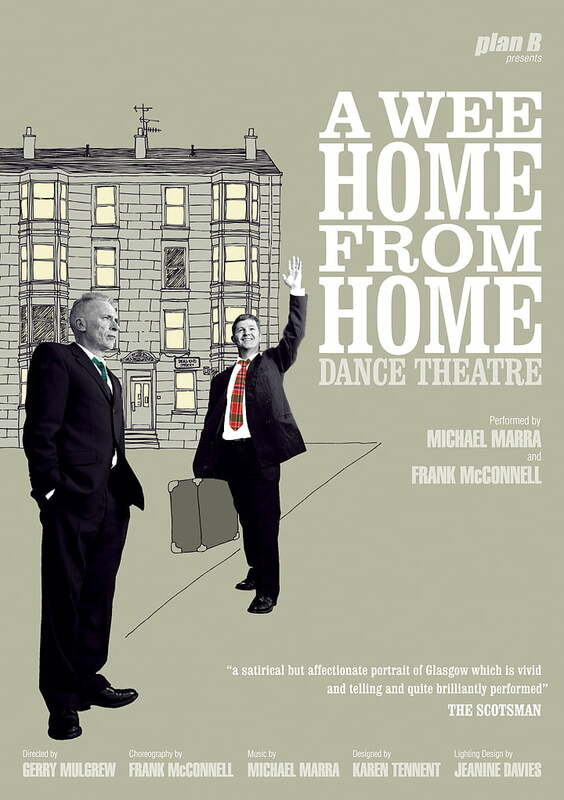 In the imagery we tried to reflect the mysterious story:- involving one man returning to Glasgow, knocking on a door to find no one home, leaving him to wander the streets of his past and is swept up in the ensuing roller coaster of memories and emotions. 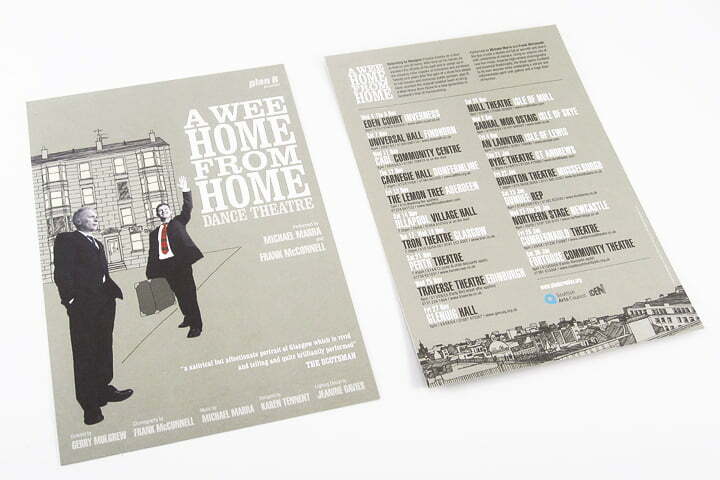 The photo’s we received for the project didn’t say a lot in themselves, so we cut out the characters and placed them in our fictional version of Glasgow. 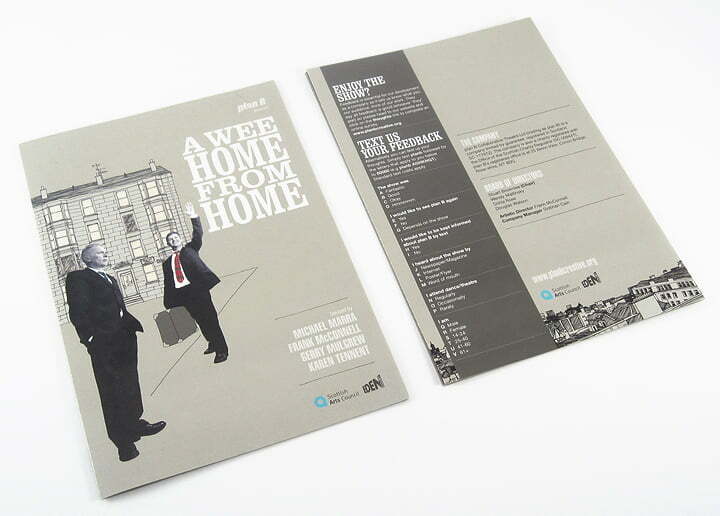 We drew the icon tenement building to help place the show, and create a more dream like location fitting to the story, then coloring the whole thing to capture the history of the performance whilst presenting a fresh feel. 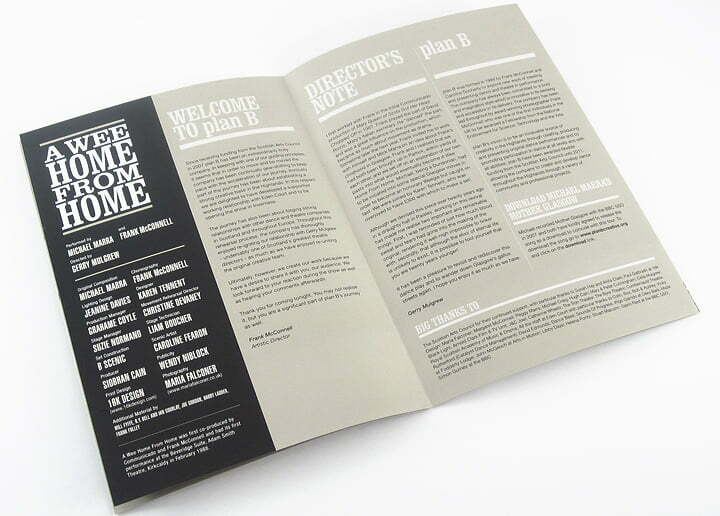 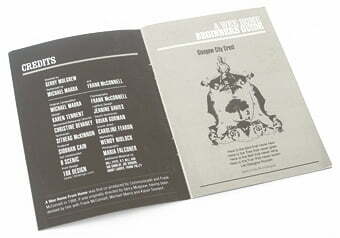 In the show’s printed programme, we created a subway style illustration to present the intersecting biographies of the team. 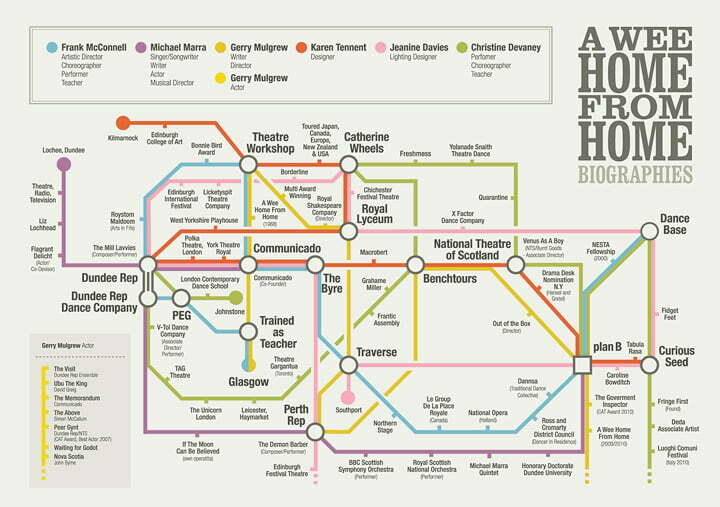 Each line presents an individual’s performance history, with lines crossing where more than one artist had worked on the same project. 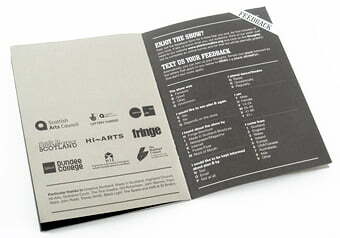 This was very well received and ended up being proudly presented by the head of the Scottish Arts Council at conferences as an example of how to do it!